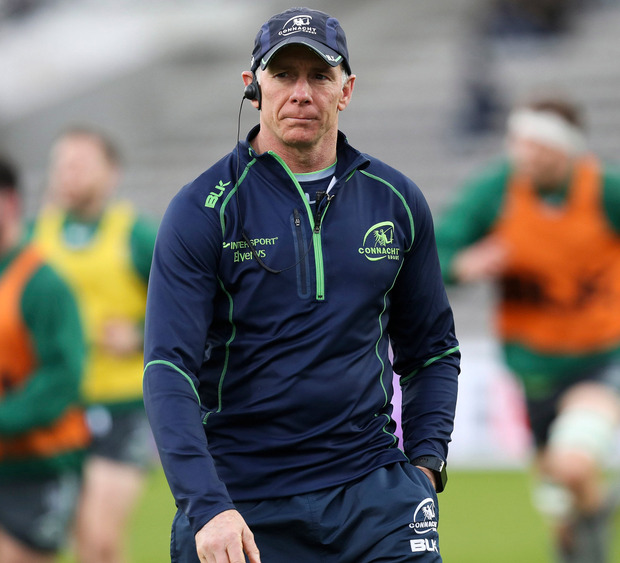 Connacht host Benetton Rugby this Friday, with third place in Conference A the long term ambition for the westerners, but their immediate plans have had to be drawn up without Bundee Aki and Quinn Roux, who will not return in time for this weekend. Carty and Marmion are expected to start on the bench at the Sportsground, which will likely mean another outing for Kyle Godwin at out-half, but Friend is thrilled to see his players back. "They did well when they came on. I thought they were good. They really picked the pace of the game up. I've just enjoyed their calmness," said Friend. "Jack Carty, third Test, well behind on the scoreboard, but he just got in there and did his stuff and created a few opportunities. Kieran (Marmion) came on and I thought he was very good too, got through his stuff. Quinn (Roux) when he came on was quality." A starter in all five Six Nations game, Aki is not scheduled to link up with Connacht until Monday next ahead of their Challenge Cup quarter-final with Sale Sharks, although Tom Farrell is eager to play after being a non-capped member of Ireland's squad. "Both (Aki and Roux) are having regens [regenerations] this week. Quinn was in yesterday, but just to say g'day really. They've had a fair bit of rugby. Some of the other boys have too, Ultan and Jack, but it's just about managing those fellas for the next few weeks." Gavin Thornbury could be handed a first start since January 19.